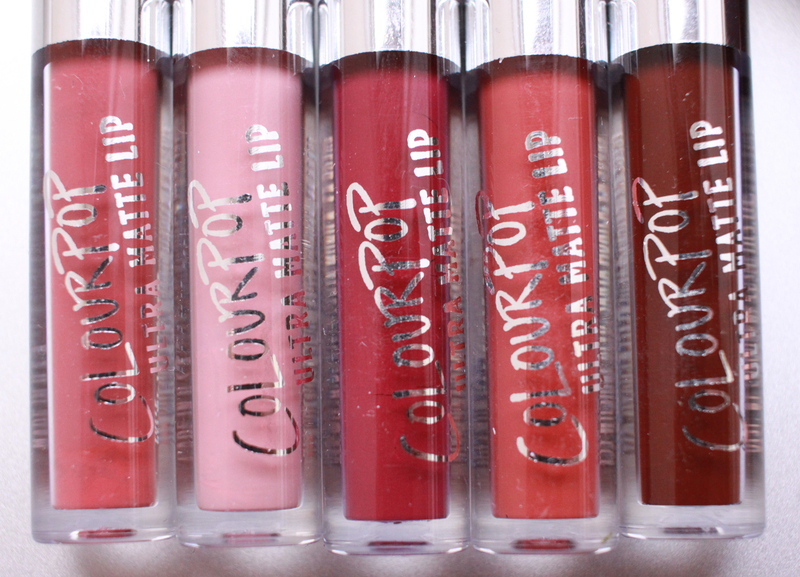 My lovely Auntie got me this Colourpop ultra matte lip set for Christmas so I just had to share it on my blog! 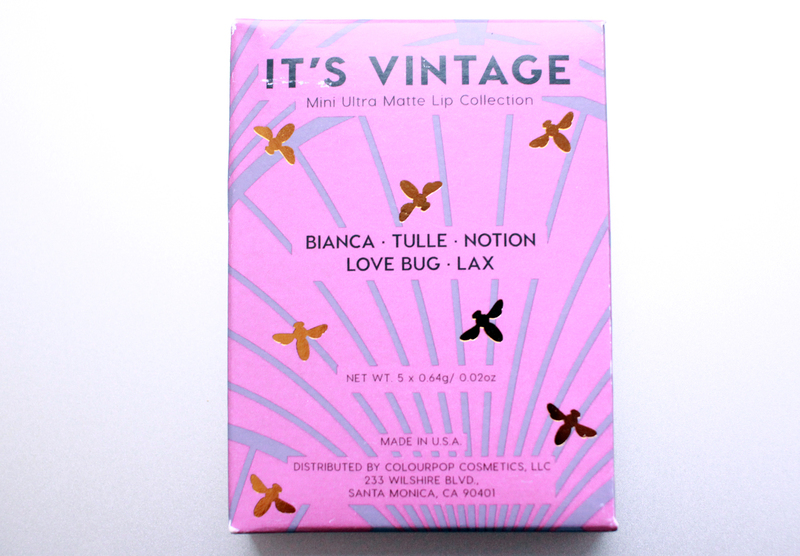 This set is called 'It's Vintage' and it features 5 mini ultra matte liquid lipsticks. These mini lipsticks are 0.64g of products, whereas the full size ones are 3.2g, and this set retails for $18. They come in a cute little cardboard pack, which makes them an ideal gift. The mini size is also perfect for popping in even the tiniest of handbags, I have some ridiculously small clutches for nights out and these will fit quite happily! The packaging is just a mini version of the full size, but the classic holographic font seems to be a plain silver on these instead. They feel just as sturdy as the full size, just more handbag sized! It's a great way to try out new shades you aren't sure about without buying a full size product that might go to waste. 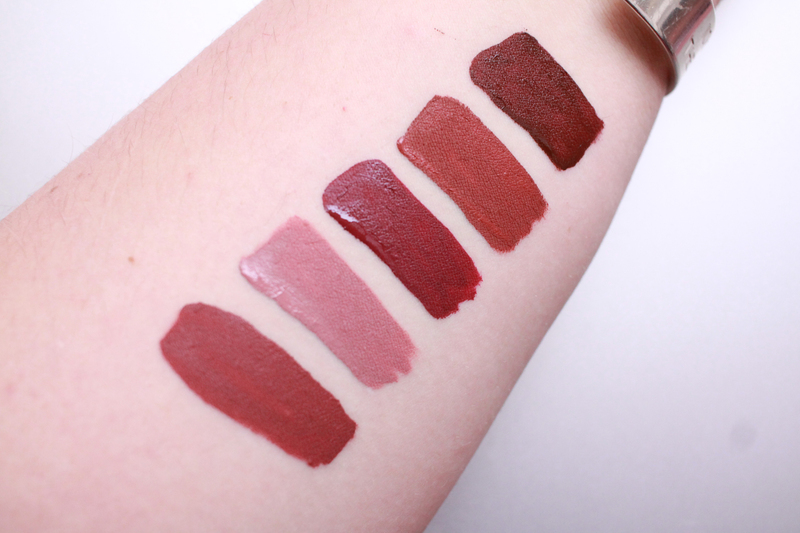 Tulle is a lovely terracotta burgundy, Bianca is a mauvey pale pink, Notion is a deep red with a slightly pink tone, Love Bug is an orange toned brown, and LAX is a red toned brown. I really like all these shades and think they are a good mix of spring and winter colours, and can see myself getting a lot of wear from this set. 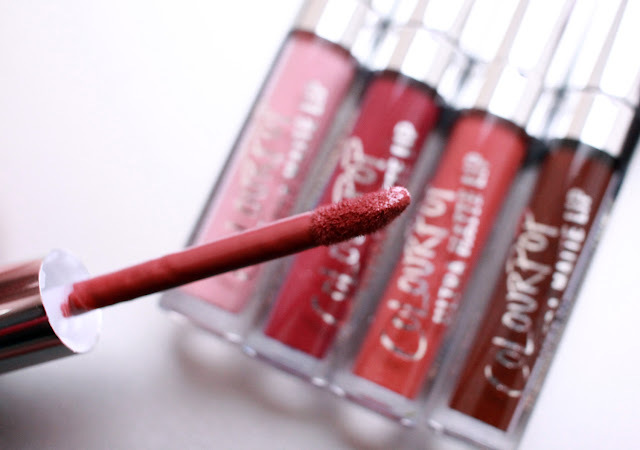 Colourpop's liquid lips take a couple of minutes to dry down, and then will not budge until oil touches it, whether from food or an oil based remover. I love knowing I don't have to reapply when I'm out for the day! Definitely a cruelty free makeup fave for me. oh wow these look fab! I love all the different colours they are all ones I would use. I was so impressed with the colours! Gorgeous, love three colours. Are they hard to remove? I love the look of matt lipstick but on me always find it very drying. How are these hon?